Haha this made me smile. I'll have to make one of these! What a great idea! Of course, I'm nowhere near 25, but 16 before 17 sounds reasonable. awwww this list will be great to show off to your grandkids someday. happy birthday! 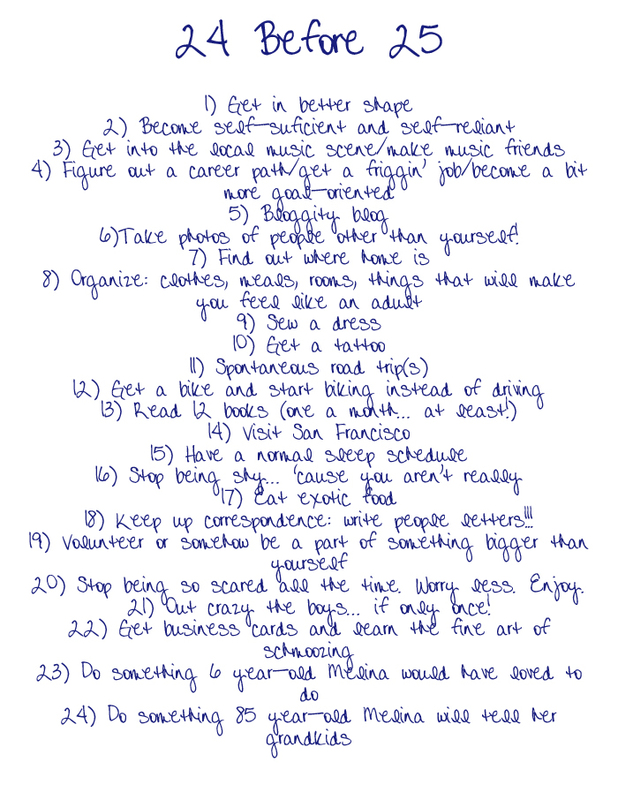 I love lists like this. So inspiring. It makes me want to do things!